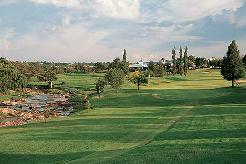 Pretoria Country Club Golf Course was founded in 1910. It nestles in the scenic beauty of Waterkloof, one of the city�s most prestigious suburbs. Over the years the Pretoria Country Club has become a landmark in Pretoria. 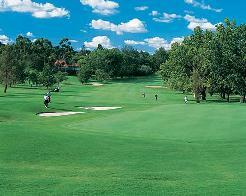 It is renowned as the quality sports and social venue set in magnificent surroundings. Steeped in tradition, this club offers its members a variety of facilities in a secure environment. The back nine, which is noted for its big and beautiful willow trees, is particularly challenging with the 13th (400 metres) and the 15th (380 metres) both somewhat punishing par-fours where water is in play with both the tee shot as well as the approach shot. A sophisticated irrigation systems helps to keep the course beautifully green and in immaculate condition for most of the year, and the members' claim, that their course is the best in the city, should be taken seriously. 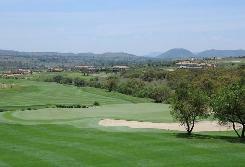 Set in the beautiful, jacaranda-lined upmarket suburb of Waterkloof, the course is a delight to play.